1, Pilot-oriented mode : Internal pilot or external pilot. 2, Structure in sliding column mode : good tightness and sensitive reaction. 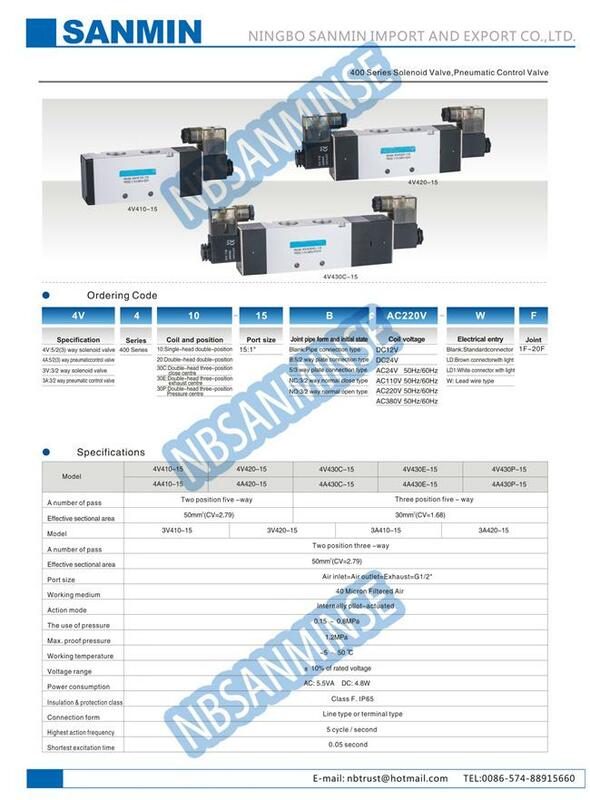 4, Double control solenoid valves have memory function. 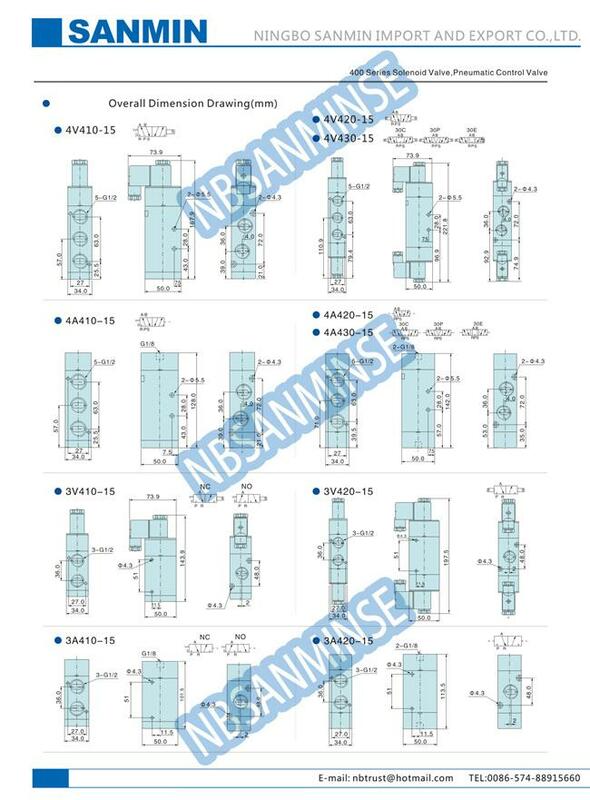 6, Several standard voltage grades are optional. 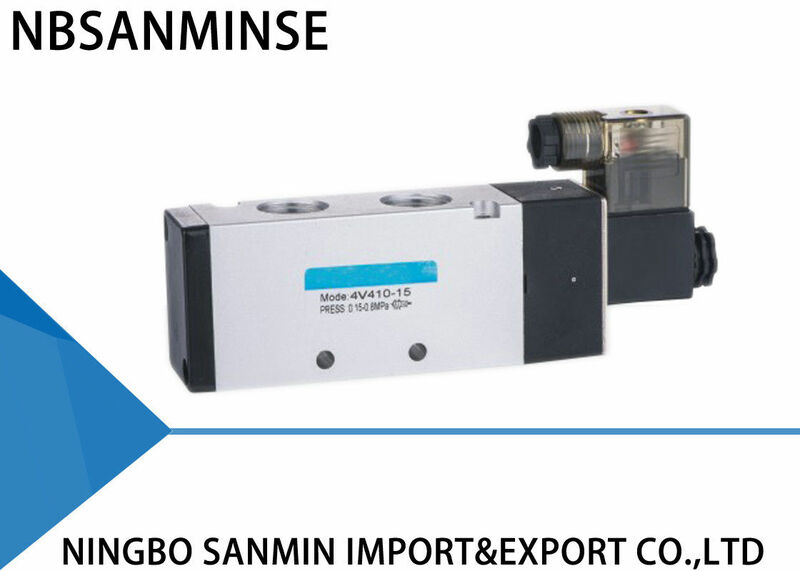 Port size : Air inlet = Air outlet = Exhaust = G1 / 2 "
3: High quality with competitive price. 4: Sample order & small quantity order is acceptable. 5: Provide free products information. A: It depends on the number of orders . Delivery date is 7 - 30 days . If you need emergency products , we can speed up the production of the first arrangement .